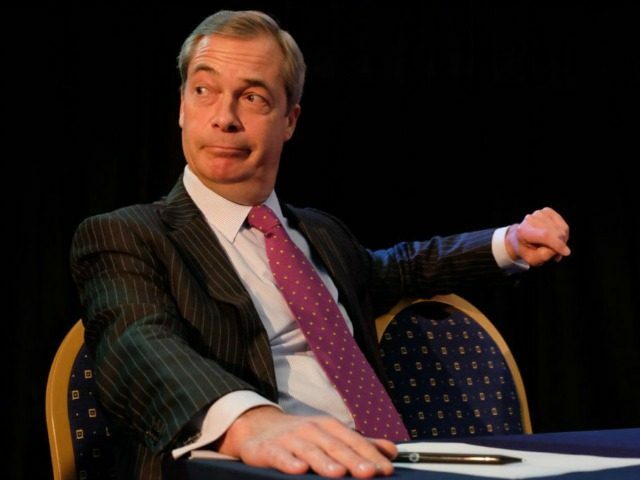 Former UKIP leader Nigel Farage has spoken out after claims he could join Northern Ireland’s Democratic Unionist Party to win a seat in the House of Commons. Ahead of a trip to Northern Ireland, with Mr. Farage due to speak at DUP fundraiser in Ballymena, Arron Banks, the UKIP donor and co-founded the Leave.EU campaign, did not deny the pair are planning to join the DUP during an interview on Sky News on Friday. He said: “That’s something you’ll have to ask Nigel. We’re attending a DUP fundraiser this evening and I’m not really able to comment on that. He added: “I will be remaining Ukip MEP. I have shared platforms with Labour MP Kate Hoey, Tory minister Liam Fox and other people like George Galloway. “Looking forward to welcoming my great friend @Nigel_Farage to my North Antrim constituency tonight to talk about Brexit and Beyond.